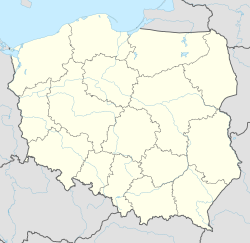 Wsola [ˈfsɔla] is a village in the administrative district of Gmina Jedlińsk, within Radom County, Masovian Voivodeship, in east-central Poland. It lies approximately 4 kilometres (2 mi) south of Jedlińsk, 10 km (6 mi) north of Radom, and 82 km (51 mi) south of Warsaw. The village has an approximate population of 1,500. Wikimedia Commons has media related to Wsola. This page was last edited on 21 March 2017, at 20:27 (UTC).